Lately, we’ve been receiving a lot of calls for spider pest control in Franklin, TN, Brentwood, and Spring Hill. As we get deeper into summer, spider pest control issues will continue to rise. As a locally owned pest control company in Franklin, Bug Authority loves working with our clients to control spider issues. Middle Tennessee and really all counties in Tennessee are home to two poisonous spiders; the black widow and the brown recluse. Many other species of spiders also call Tennessee home, but these spiders are not dangerous. In fact, most spiders are beneficial because they prey on flies, crickets, and other nuisance insects. However, a spider infestation of poisonous, or even beneficial spiders, requires professional spider pest control. A brown recluse spider has a distinct marking that looks like a violin on top of the leg-bearing section of the body. The brown recluse may be found living indoors or outdoors and likes to hunt for prey at night but hides in dark nooks and crannies during the day. Many people are bitten while they sleep because they roll onto a brown recluse while it is looking for prey in the bed. Also, very often, people are bitten while putting on a shoe or piece of clothing which a spider has selected for its daytime hiding place. 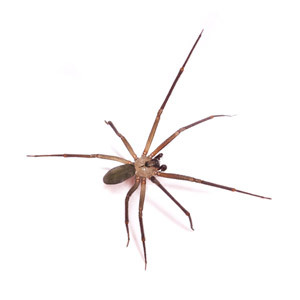 If you have seen brown recluse spiders in or around your home, it is very important to get professional spider pest control. The bite of a brown recluse can cause an ulcer that could persist and grow for weeks. Additionally, children and older adults may develop infections and serious conditions, such as kidney failure or seizures. Black widow spiders are usually encountered outdoors, although they can be found inside the home as well. The bite of a black widow involves a nerve toxin that causes the victim to quickly suffer painful rigidity of the abdomen and usually a tightness in the chest. In about 5 percent of black widow bite cases, the victim goes into convulsions within 14 to 32 hours and can die if not given proper medical attention. As is the case with the brown recluse, if you see black widow spiders, you should seek professional spider pest control promptly.